provider of custom communications and collaboration platforms, jointly announce a strategic alliance to sell MEDI+SIGN solutions. MEDI+SIGN healthcare technology supports critical communication solutions to ensure safety of patients and plays an essential role in preventing errors and safety conflicts, fostering a safe healing environment for the patient. For more information, contact MEDI+SIGN at: https://medisigndisplays.com or 301-790-0103, and MVDconnect at: www.mvdconnect.com or 888-843-1683. 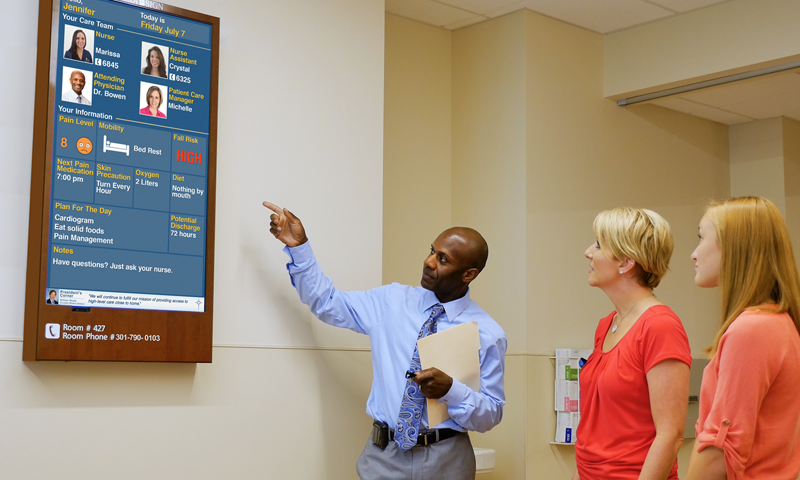 MEDI+SIGN provides hospitals and healthcare organizations with a connected health data integration and visualization platform that includes digital whiteboard display solutions. MEDI+SIGN integrates data from electronic health records, remote monitoring systems and IoT devices to communicate key patient health and status information to care teams and patients. MEDI+SIGN was established to leverage its proprietary, data-driven visual communication technology to improve hospital and healthcare provider’s performance in patient safety and satisfaction, as well as the overall quality and delivery of healthcare. MEDI+SIGN removes the burden of triple documentation from the nursing staff resulting in increased staff productivity and satisfaction. For more information, please contact us at https://medisigndisplays.com.